When dogs get older or when they have injuries, they may need steps to get into vehicles or — you know what’s coming — on the couch or the bed. 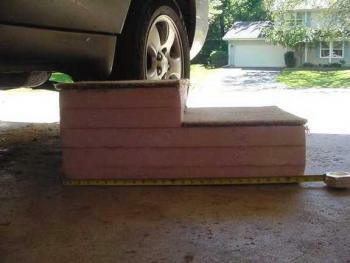 Home-made Styrofoam steps are the easiest to design and to handle. Here is a link to directions for designing and making steps. They are wonderful; they weigh next to nothing and last a long time. We have used these steps for getting dogs in and out of RVs. They even make it easier for the humans to get into the RV!